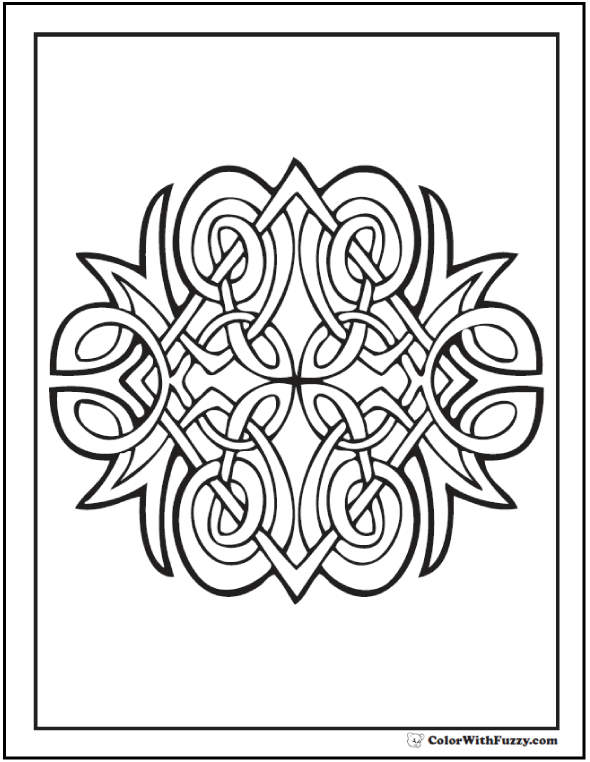 I have several diamond pattern Celtic coloring pages. This one has loops and feathery decorations around the edge. See more at the links below. This PDF prints to 8.5x11 inch paper. Can you see the diamond in this Celtic decoration?